Some work does get abandoned….but not always forgotten. I have been looking at this in an unfinished state since August! I carry it around, and keep thinking I will get back to it. I did a pencil sketch that I actually like better…but, I wasn’t ready to relegate this to a permanently unfinished piece. So, without too much extra time involved I completed it today. I love the richness of the background against the white. This white iris was blooming in front of my very red japanese maple. Nice memory. 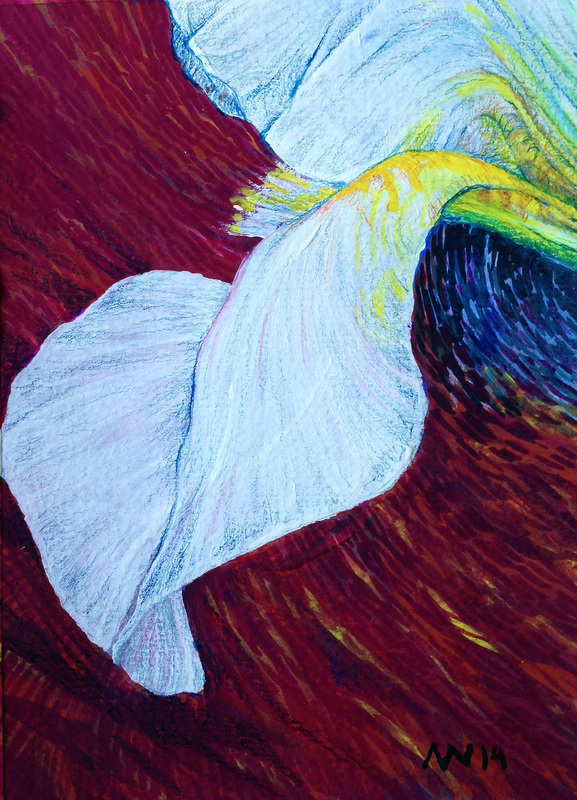 This entry was posted in Uncategorized and tagged casein, colored pencil, iris, small painting. Bookmark the permalink.